According to the UNEVOC Network Manual of Operating Procedures, the overall mission of a UNEVOC centre is to contribute to the improvement in the standards and quality of TVET in the country. Therefore, Tknika, as a UNEVOC centre, has as its main mission to contribute to the improvement in the standards and quality of TVET in the Basque Autonomous Community of Spain. Sub-objective 1: To disseminate relevant information from the UNEVOC-Network among TVET stakeholders. Sub-objective 2: To disseminate interesting practices and initiatives from the Basque TVET System through the UNEVOC-Network. Sub-objective 4: To establish solid relationships with other UNEVOC-Centres. Sub-objective 5: To participate in joint-research actions with other UNEVOC-Centres. Sub-objective 6: To attract funding from different sources to the UNEVOC-Centre. UNEVOC has a Strategy for the Development of TVET and it has a perfect fit with the Strategies of the Basque Government and Tknika. It should also be realised that the UNEVOC strategy is fully aligned with the general strategy of UNESCO and as a result of that, it can also be said that Tknika is aligned to the general objectives of UNESCO. TVET has been defined as one of four priority areas of UNESCO’s education programme in the coming years. 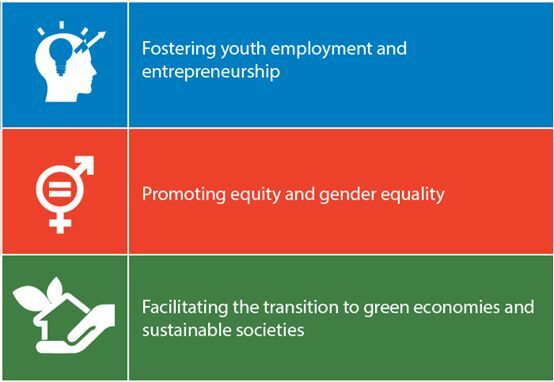 It is seen as an integral part of the Education for All (EFA) initiative (see TVET and EFA), especially with regards to goal 3 relating to “appropriate learning and life skills.” Through its orientation towards the world of work and the acquisition of skills it plays an essential role in promoting a country’s economic growth and contributing to poverty reduction. A number of UNESCO staff all over the world deal with issues relating to TVET. They are located in national and regional UNESCO field offices, UNESCO’s Headquarters in Paris, UNESCO institutes and, of course, in the UNESCO-UNEVOC International Centre in Bonn, Germany. 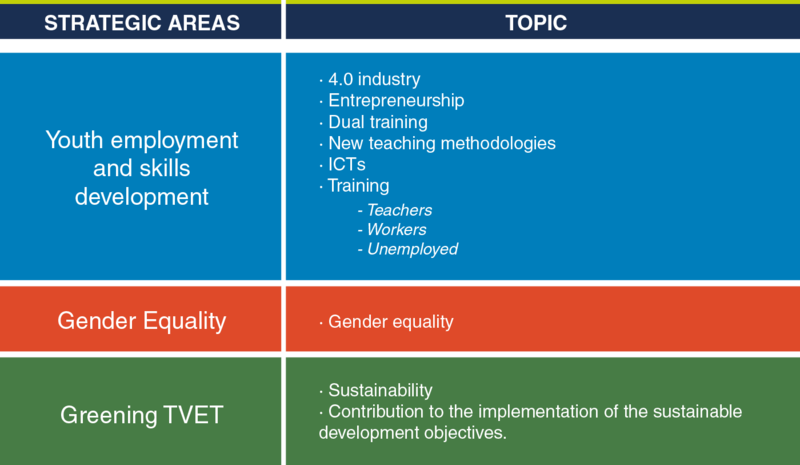 All TVET activities of UNESCO adhere to the UNESCO TVET strategy, which was developed in 2009 and guides the organization’s work in the years 2010-2015. As UNESCO’s niche lies with its cooperation with Ministries of Education, UNESCO concentrates primarily on secondary and postsecondary TVET, as well as on TVET in non-formal settings. Youth employment and skills development.